The blockchain technology it operates on distributed ledger. A ledger can hold transactions done by all the people involved in that channel. You can take the course on blockchain and it is free from IBM and you can complete it in 2 hours. Many financial institutions in the race to implement block chain technology. Many government also pushing the blockchain projects. The financial services industry is trying to incorporate it to make their backend processes more efficient. For those not in the know, blockchains are distributed databases that can contain a growing list of data records. The linked data-structure blocks that make up the blockchain are resistant to revisions and tampering. 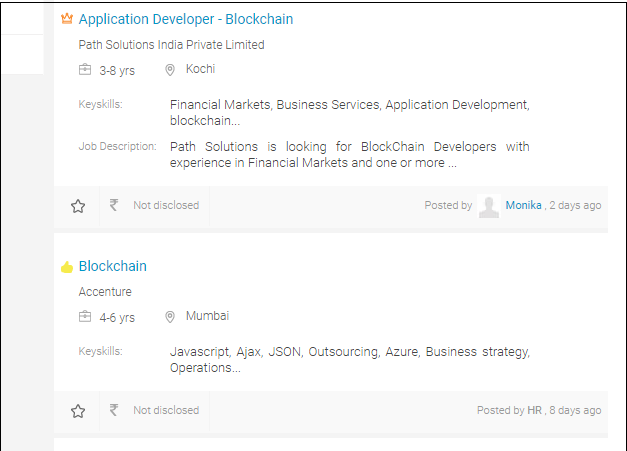 Really this is a space to learn more skills on blockchain.